Vivek Oberoi, Ram Gopal Varma and his entire team of ‘Rakta Charitra’ has been constantly visiting almost all the regions of Andhra Pradesh promoting the film. Finally after many speculations with the people of Ananthapuram district and censor board officials, the film is opening bigger today across India. Special screening was arranged for certain celebrities closer with Ram Gopal Varma and reported that the film is something that struck them in astonishment. 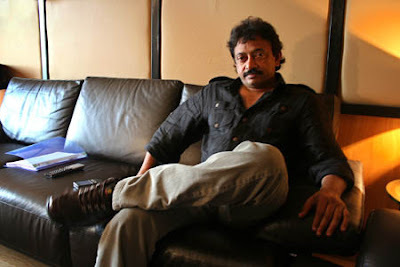 Mahesh Babu admitted that Rakta Charitra is a spine-tingling movie and the best of all bests from Ram Gopal Varma. Prakash Raj was a step ahead as he acclaimed that he has a strong instinct that RC is gonna be the most powerful and dominant flick of this season. Guess who’s happy about it? Obviously, it’s Vivek Oberoi, who has been special concern by responding to each and every tweets with thank you note. Looks like the entire crew will be watching the film in the theatres of Ananthapuram today for the general feedback of audiences. If you liked this Mahesh Babu stunned with ‘Rakta Charitra’, please like, tweet and share this on Facebook, Twitter, Google+, Pin Board or leave a comment. You can also get the latest News by subscribing to our feed. Don't forgot to share your voice with your friends! They may have also like or have thought on this News and that will help us to improve our selves!. On this page, we have tried to provide all the information on Mahesh Babu stunned with ‘Rakta Charitra’. However, if you encounter any discrepancy in the information about this news, do write to us. We welcome any kind of feedback that would improve the quality of the site, a site that strives to provide the best information on Mahesh Babu stunned with ‘Rakta Charitra’.